my 18-year-old self could not have predicted this. –from Christopher Citro’s (INCH 10 contributor), poem “Otherwise Inexplicable Animation to the Forms Above” appearing at The Collagist. Emilia Phillips, author of Beneath the Ice Fish Like Souls Look Alike, an editors’ selection from the 2014 Frost Place Chapbook Competition, shares her insights on writing and teaching creative writing at Ears Roaring With Many Things. B.J. Hollars’, author of In Defense of Monsters–originally published by Origami Zoo Press and coming to Bull City Press in 2016–“Hirofukushima (Passages North)” has been selected for the 2016 Best American Essays anthology. Hannah Gamble, contributor to INCH 12, is interviewed at Make (No) Bones. Liz Ahl, participant in the Grind Daily Writing Series, has a new chapbook out, Home Economics (Seven Kitchens Press). Carmen Maria Machado’s, INCH 20 contributor, essay, “A Girl’s Guide to Sexual Purity (LA Review of Books),” has been selected for the 2016 Best American Essays. There were the abandoned copper mines and the vast majesty of Lake Superior and so much forest cloaking everything. During fall, deer hunting, so much venison. The winters were endless, snow in unfathomable quantities, the aching whine of snowmobiles. There was loneliness. There were my friends, who made the isolation bearable. There was a man who made everything beautiful. What I cannot forget is my landlady, who rented my apartment to me over the phone and who, when she first met me, told me I didn’t sound like a colored girl.–from INCH 19 contributor Roxane Gay’s essay, “Black in Middle America” up at Brevity. 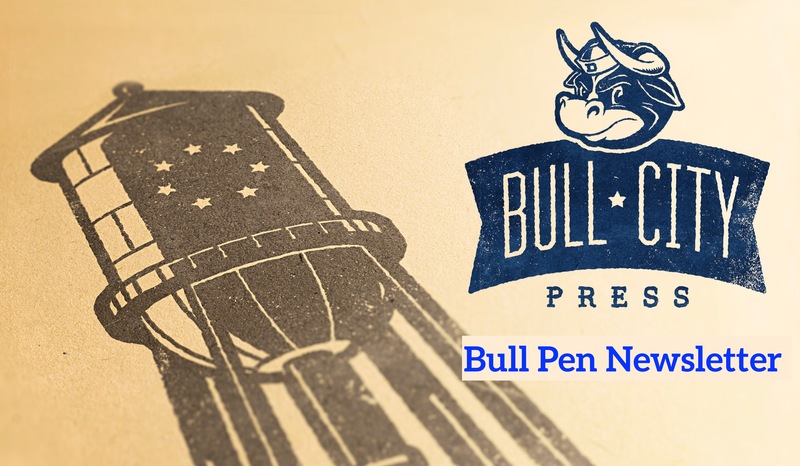 Ross White, Matt Poindexter, and Noah Stetzer (your’s truly) share some insight on the working spirit at Bull City Press in this interview at Entropy.